You are here: Home / Scrappy / Santa Selfie !!! Hello Doctor Digi fans !!! 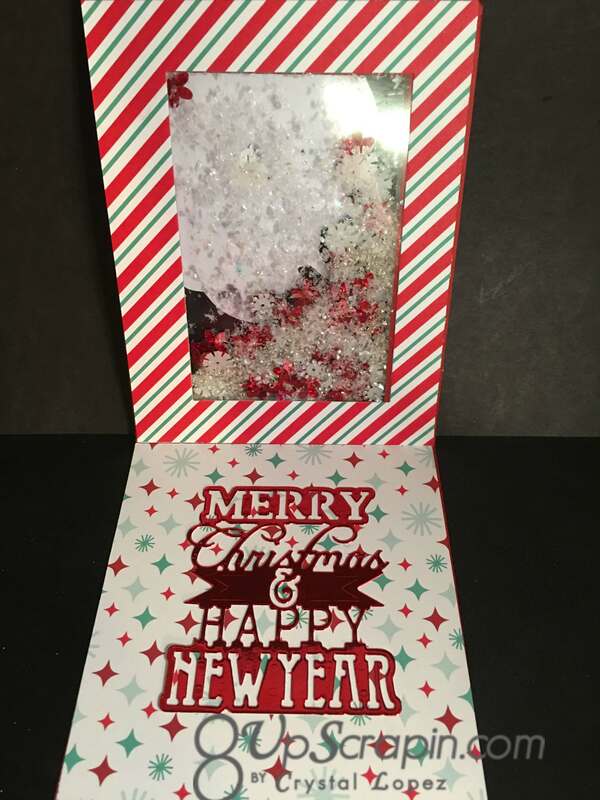 It’s Crystal here and today I made a shaker card using the Selfie Santa image from Doctor Digi House of Stamps , I think this image is adorable and when I saw it I know it had to be made into a shaker card with snow inside it. 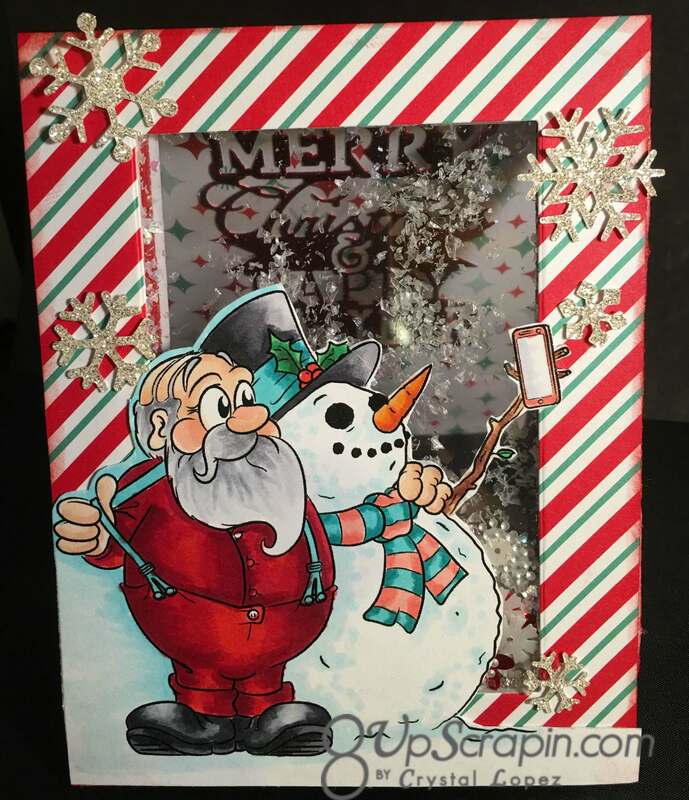 I copic colored my image and then only partial fussy cut Selfie Santa out , next I created my card base and window frame using the stitched frame dies from Gina Marie ( awesome prices $10 for a set of 7 ) the mini snow flakes dies are from Lawn Fawn and my sentiment inside my card is a Sizzix thinlet #660662 , the clear sheets are binding covers , I find they work great and very cheap. 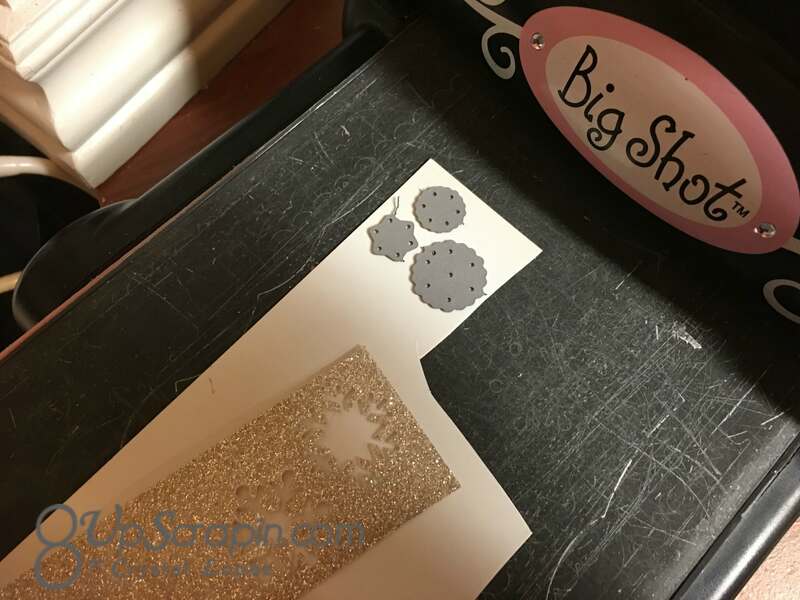 I have a tip for you when cutting intricate dies from glitter cardstock , I flip my cardstock over and cut my shapes from the back side of the glitter CS , this will ensure the paper base is cut thur , I use a very high quality glimmer CS from Stamping up and it’s just way to thick to cut from the from so I came up with this and don’t every have a problem now , the black plate in this picture is called a precision plate and you use it instead of using a bottom clear plate , it truly makes a huge difference when die cutting . 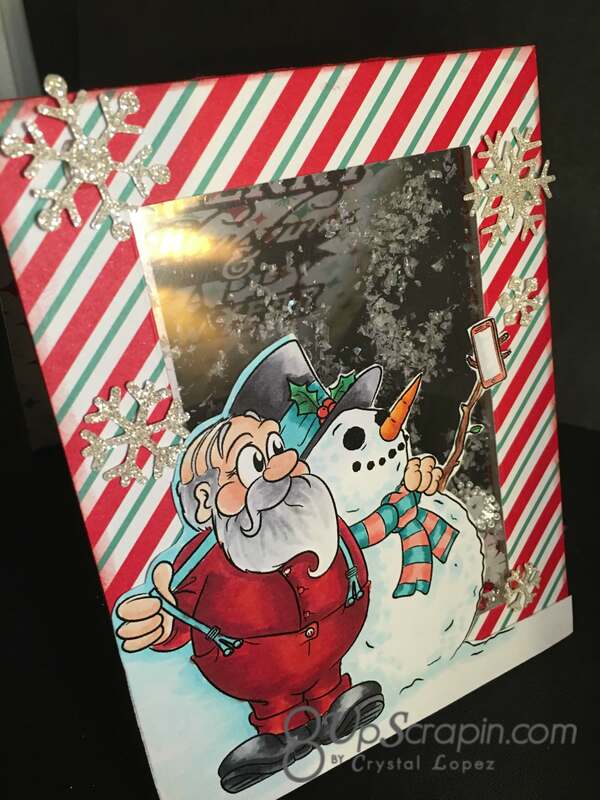 if you like this image or want to check out other great digital image run our the Doctor Digi’s House of Stamps , I am sure you will find lots of awesome images that are so fun to color .